CINCINNATI -- When David Moskowitz woke up one Sunday last month, the right side of his mouth was tingling. Moskowitz, 17, was an active teenager, playing varsity lacrosse at Sycamore (Ohio) High School. He and his family didn't know that tingling would leave him sidelined for the next four weeks, in an intensive care unit for a critical neurological issue. Moskowitz's persistence and recovery have made him a social media hero to other student-athletes, so much so he got a day named for him. Moskowitz went to an urgent care center the day he woke up with the tingling, Dec. 17. A doctor there told him it was a virus. He went to lacrosse practice and took an exam at school. The tingling didn't go away. Then he got an MRI that showed a life-threatening issue in his brain. An ambulance rushed him to Cincinnati Children's Hospital Medical Center. Not long after he arrived, Moskowitz was diagnosed with hereditary hemorrhagic telangiectasia, a genetic birth disorder sometimes known as Osler-Weber-Rendu disease and Osler-Weber-Rendu syndrome. His twin brother Jack has it, too. David showed symptoms first. He had an arteriovenous malformation, or a tangle of blood vessels in his brain, along with an aneurysm and two small lesions. They were inoperable, so doctors at Cincinnati Children's Hospital Medical Center gave him medications to help with the swelling. He's had trouble speaking and lost some of his vision. He also has trouble moving the right side of his body. Four days ago ago, he was moved into one of just nine beds in a special trauma care unit focused on children with critical neurological conditions. Moskowitz has a long recovery ahead, but he's showing signs of progress. And for many high school athletes, he's become a hero for the health battle he'll fight his whole life. He and Jack will have to monitor themselves regularly to be sure those blood vessel malformations, which can show up at random anywhere in their bodies, don't become volatile and require immediate medical care. "It's amazing and somewhat of a miracle that he's here today like this, and that's David," his father Jimmy said. "He's really an inspiration. He's taking this as, it is what it is, he can't change it and he's just trying to move on." The city of Montgomery declared Tuesday as David Moskowitz Day. Teammates wanted to be there to support him, so they brought the celebration to the hospital. 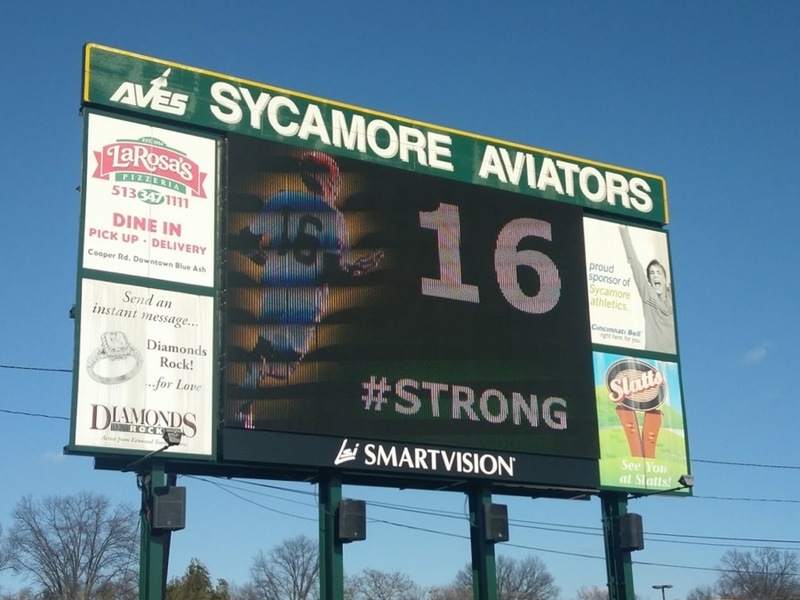 Other Greater Cincinnati lacrosse teams have shown support for him too, with #DavidStrong and #GiveItUpFor16. "The support from the community has been amazing," Moskowitz said. 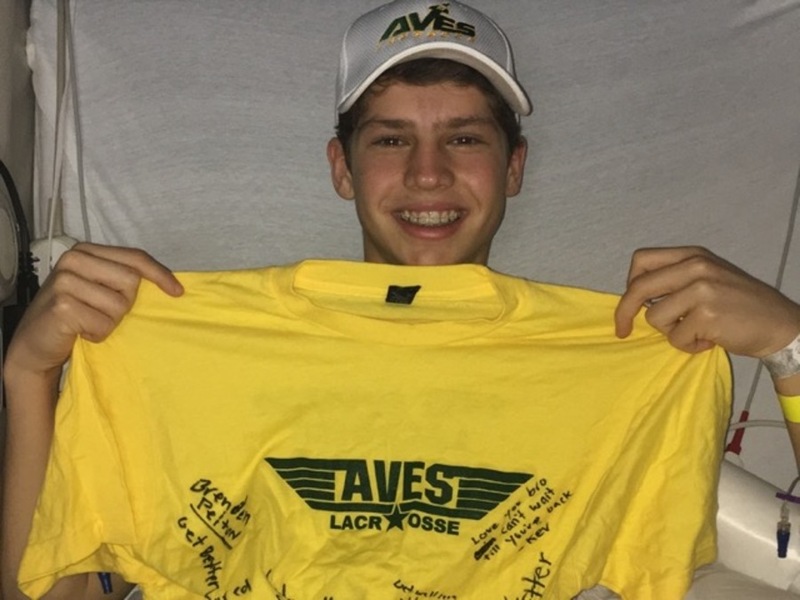 For those of you who don't know, David Moskowitz (2018-M) is still in the ICU with complications from an AVM (since 12/18).